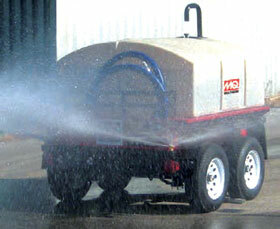 The Multiquip WT5C Water Trailer is ready to tackle a host of assignments to include: Dust Control, Emergency Fire Fighting Response, Construction, Agricultural Support and Equipment Wash Down. 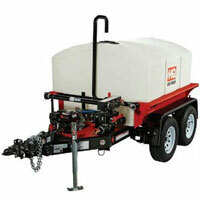 This mobile unit features: DOT approved Double-Axle Trailer, trusted high-flow MQ QP2H Centrifugal Pump, flexible Suction/Discharge manifold system with simple valve operations, and a rugged 525 GAL polyethylene Water Tank. The model WTE5C provides electric brakes. Trailer: DOT certified, dual axle, 3500 LB. Flow / Head: 158 GPM / 115 Ft.